LONDON - Downing Street confirmed Tuesday that British Prime Minister Theresa May will write to European Council President Donald Tusk asking for Britain's departure from the bloc to be delayed. The latest development came after the bombshell decision by the Speaker of the House of Commons John Bercow to stop May putting her Brexit deal to politicians for a third time. Media in London quoted an official Downing Street spokesman as saying it has plunged Britain into a constitutional crisis. Worldwide media converged on Westminster expecting May to present her deal to politicians for a third time on Tuesday or Wednesday. It had already been defeated by a record 230 at the first attempt, and 149 at the second. Instead there was an urgent Cabinet meeting of May's most senior ministers to discuss the crisis at 10 Downing Street. Bercow ruled Monday that he would block May presenting her deal for a vote by MPs unless it was substantially different to the deal already rejected. After the urgent Cabinet meeting, May's official spokesman confirmed the prime minister will write to Tusk seeking to extend Britain's departure date beyond March 29. The spokesman would not elaborate on the length of a delay May will ask for. But May said last week she would like an extension running until June 30, or a longer period if her deal is not ratified by the British Parliament. May's spokesman insisted the prime minister has an "absolute determination" to make sure Britain leaves the EU with a deal as soon as possible. The EU's chief Brexit negotiator Michel Barnier said at a press conference in Brussels Tuesday that May that should not take it for granted that the EU will agree to an extension of Britain's departure date, scheduled in just 10 days. At the press conference in Brussels, Barnier said delaying Brexit could bring economic and political costs, and the EU would want reasons for an extension. Any extension will need the support of the other 27 EU members. May will meet the leaders of the other 27 EU members at an EU summit taking place on Thursday. 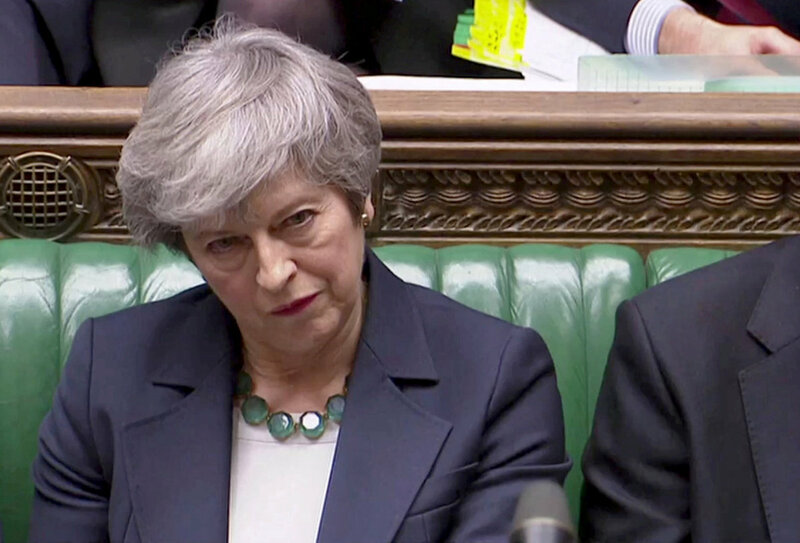 May is due to take questions Wednesday at her usually PMQ's, Prime Minister's Questions, in the House of Commons when she could be asked to comment on the latest EU situation. The next major Brexit debate is scheduled to take place in the House of Commons on Monday when MPs will be told the result of May's talks. Under current legislation Britain's membership of the EU will come to an end next week, on May 29, unless a change is made to the law that set the departure date.